Anyone who does crafts with homespun seems to always have a nice little stash of small scraps and left over blocks. 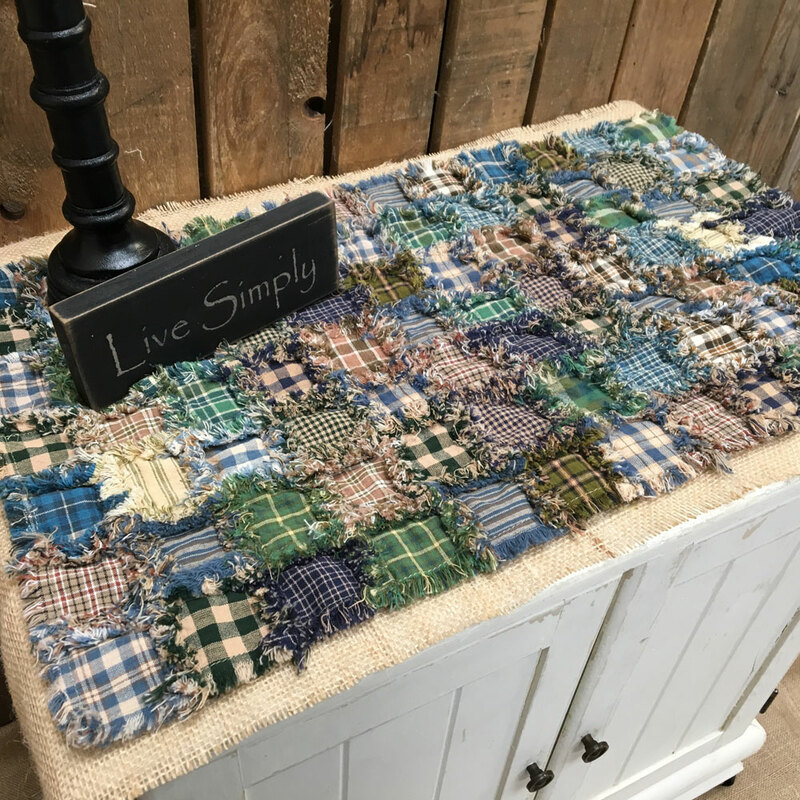 A table runner made of mini-square blocks is a great project to use some of those leftovers. If you feel you need more variety, you can purchase one of our Quilter's Rag Bags filled with random fabrics and sizes. Lastly, if you want a color coordinated table runner and don't have enough fabric scraps on hand, you can purchase our 6" Charm Packs and cut the 6" squares into 3". For these mini-square table runners, we do not add any batting. The extra weight of all the frayed edges gives the runner just the perfect amount of body for it to lay flat and look great. You can make your squares any size. Remember that your finished block size will be 1.25 inches less than what you cut due to the 5/8" seam allowances. And if you decide when you are finished that it's not long enough or wide enough, just add more rows! Rag stitching is so easy! Below are some "in progress" pictures of a couple of mini-block table runners and also some finished project pics. 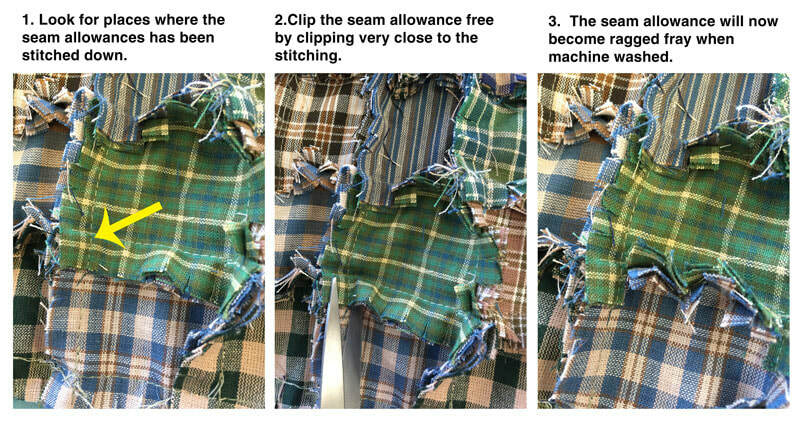 These are not step by step pics so if you are new to rag stitching, I recommend you check out this page first for more specific details: Rag Quilt Instructions. 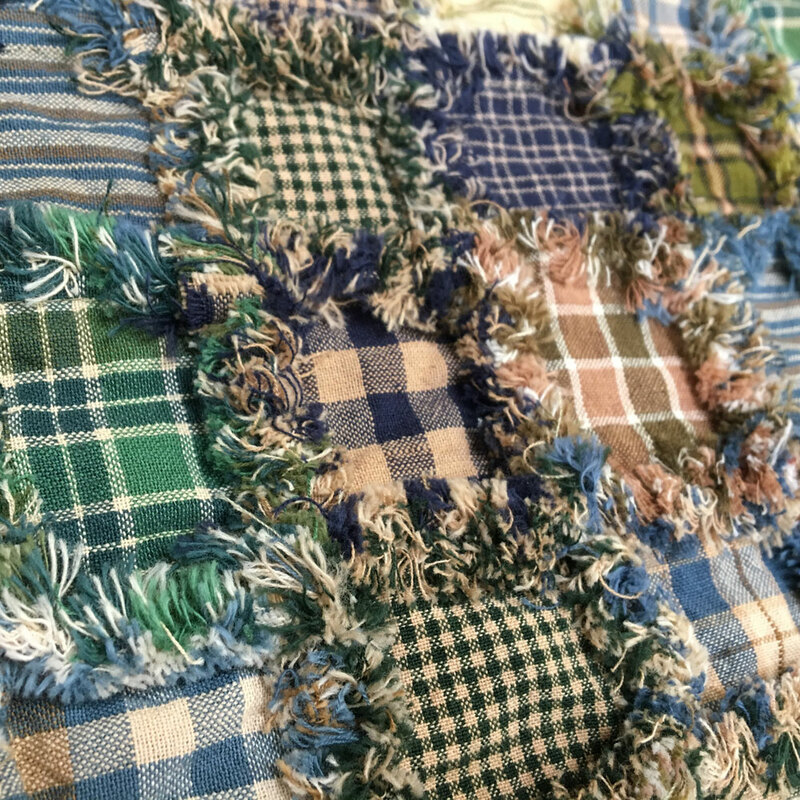 There's also a nice video on this page How to Make a Rag Quilt. Just remember that the batting typically used in a rag quilt was NOT used in these table runners. If you make one of these please send us a picture! We love seeing what our customer do and sharing their pictures on our Facebook page. These 3" mini-blocks were doubled so each block is 2 layers thick. The edges were all clipped BEFORE stitching the blocks together but they can also be clipped after. It's really just a personal choice. Clips are about 1/2" deep and 1/2" apart. After you are satisfied with the size of your runner, do a final stitch around the perimeter about 5/8" from the raw edge. If you clip your edges before stitching like we do, you'll want to go back after all the stitching and clip free all the places where the seam allowance was stitched down. See image and instructions below. 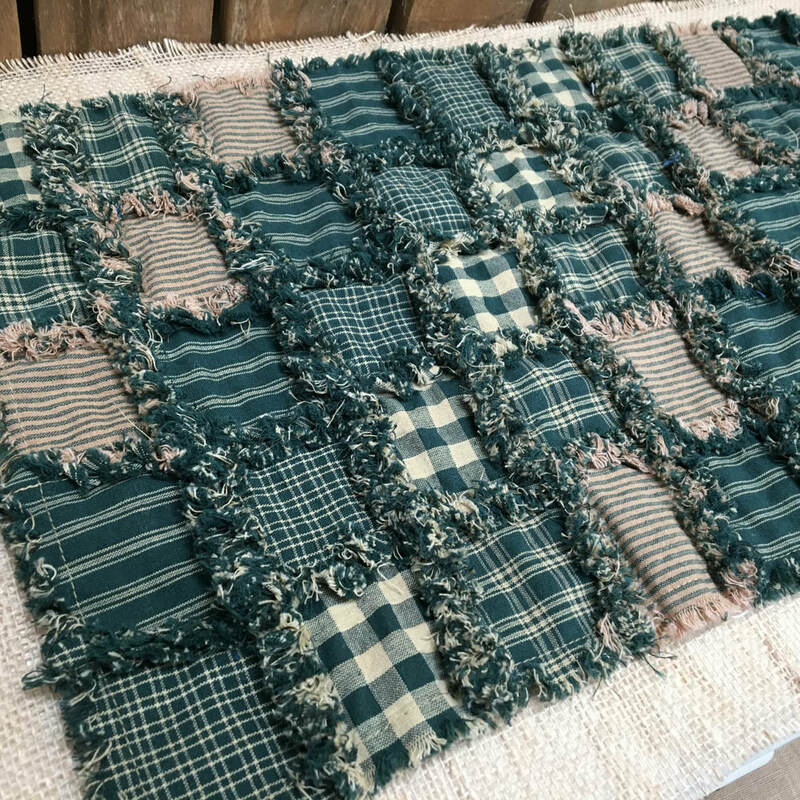 This green homespun sample was made using slightly larger 3.5" mini-blocks. It's still a really nice look when it's finished. Shown here before washing with all the edges clipped. The final step is to machine wash your table runner in cold using liquid fabric softener. 1/4 cup of table salt added to the wash water will minimize color fading. Tumble dry to remove loose strings.